July 27, 2015 - by benign0 - 9 Comments. According to Presidential Communications Secretary Herminio Coloma in a response to the Inquirer, the last State of the Nation Address (SONA) to be delivered by President Benigno Simeon ‘BS’ Aquino III to joint sessions of Congress is a “story of governance”. On an 11-th hour “platform” consisting of promises revolving mainly around “anti-corruption”, “inclusive” development, and poverty reduction, President BS Aquino has ruled the Philippines over the last five years. His “report” to his “bosses” (the Filipino people, he says), will likely be peppered with statistics and lots of damn statistics. But the real question is, how do Fiipinos feel about his rule? Was “good governance” actually applied? Like what his minions implemented in that “social news network” site Rappler.com, there should be some sort of “mood meter” during the SONA to gauge how angry, happy, inspired, angered, saddened, or apathetic the Boss feels about BS’s report. After all, this is an administration that used mere popularity to appeal to Filipino voters and over the last five years latched on to every “scientific” popularity survey published by one pollster or the other for validation. Indeed, for that matter, the Philippines is a so-called “democracy” where what is popular is what ultimately wins. On that, it isn’t much of a mystery then why, despite the single biggest pork barrel thievery scam in history erupting under the watch of BS Aquino, Filipinos might be tempted to believe that this administration was really serious about curbing corruption. Pork barrel funds, after all, have long proven to be effective means to keep both the public and their “representatives” in Congress appeased and content. When you are a president who doles out tens of millions of pesos that go into the pet projects of members of Congress who, in turn, make sure they’ve got their names and faces plastered all over the paraphernalia of said “project”, you will always get the thumbs up no matter what crime you commit. But Filipinos should not lose sight of that one defining aspect of this administration — the hundreds of millions of pesos in funds that have been appropriated through budgetary sleight of hand engineered by no less than the Budget Secretary Butch Abad to motivate various members of Congress to cooperate with President BS Aquino’s presidential agenda. Before we lap up any lip service paid to the notions of “honesty” and “integrity” in governance by President BS Aquino in his SONA, we should remember the unresolved issue of pork barrel thievery that remains hanging over this administration. Who is going to be held accountable for the billions of pesos lost to this thievery? President BS Aquino has less than 12 months to resolve the question of who were responsible for the grand national theft of those billions in pork barrel funds. If this administration fails to resolve it to the public’s satisfaction, then the president himself needs to be thrown in prison. What do they say about the defining aspect of being the Chief Executive? Simple: It is where the buck stops. When they call the roll in Congress, the politicians do not know whether to answer ‘Present’ or ‘Not Guilty’. Since you believe that there’s no such thing as good governments, you look at administration Singapore as an example. Accepting bad governments and worse governments is a path for making excuses to remain the nation and society in degradation. I’m implying and pertaining to the Failippines, Failipinos, and BS Aquino. No politician will ever go to a Real Prison. They may play a “political Zarzuela”, that they are in prison; or suffering in a Hospital. But, in truth: they are laughing themselves with their “Loots” on their way to their overseas Banks. 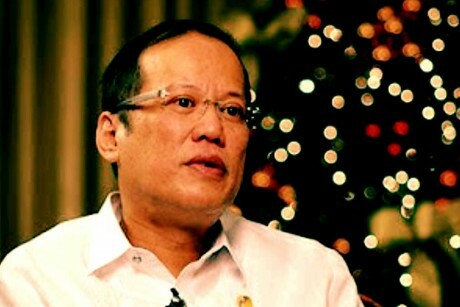 Aquino and Abad’s thievery will never be resolved. The Mamapasano massacre; Maguindanao massacre; Hacienda Luisita massacre; Dacer-Corbito murder; etc…lives were lost; people were murdered…they are not yet resolved. All these murder cases were shelved by Aquino. How much more for the money Aquino and Abad have stolen…no resolution, or will ever there be… Billions of pesos have disappeared in thin air. And, the stupid Filipinos are astonished, of such a Spectacular Phenomena of disappearing Money, infront of their opened eyes. benigno, I missed your name in the Sona. Good old Joe America though is lucky he’s been cited. Time to make-up and have those well-meaning posters back again by making sense on the board. It’s not a good policy to baby-sit your writers every time they’re engaged. Jigs,Jigs,Jigs, when will you ever learn that your trolling is only making your idol and boss look bad by spreading falsehoods? You have never made any sense with your posts, that’s why you still don’t have any credibility here. And yet here you are again making nonsense posts because you always, like any failipino here, miss the point of this site’s articles that you resort to hostility jigs the dakilang mangongontra.